I seriously don’t know how he does it. It’s a super-human strength. Really, how is it possible for such tiny hands to keep a grip on not one, but at least three cars all day long? 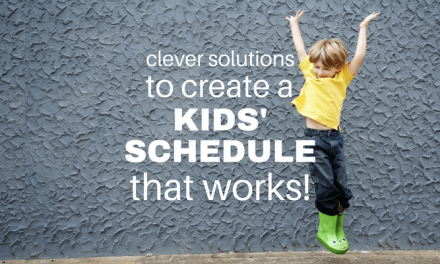 We’re talking breakfast, lunch, dinner, bedtime, and naps, too. My little guy simply adores his race cars. A few days ago, I put my teacher cap on again trying to think of a way to support number recognition and one-to-one correspondence for my son. I looked in my junk drawer. Hmmm. Painter’s tape left over from the move to the new house. Then I peeked in my son’s toy box. Cars. Oodles of Hot Wheels cars… Got it! 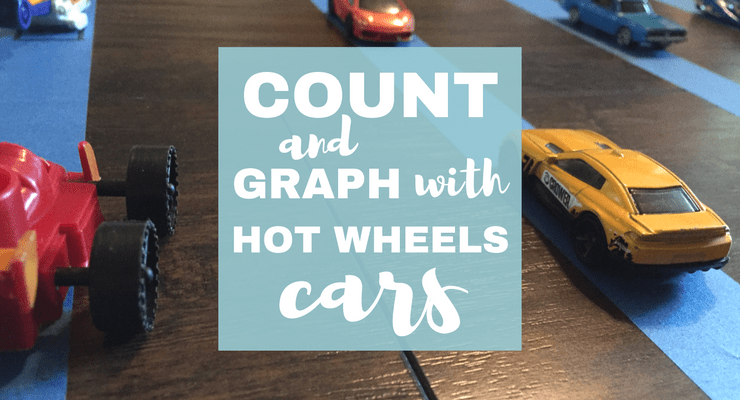 Armed with my ridiculously simple supplies and a permanent marker, I set up a simple counting and graphing activity for my all-boy, car-loving kid. 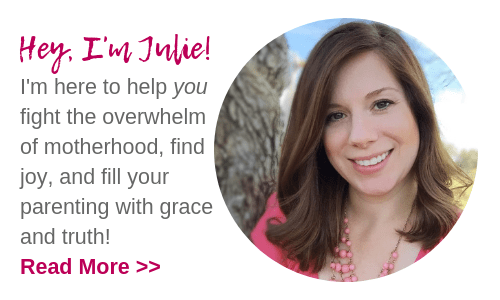 Have you tried my early learning Bible curriculum packs? 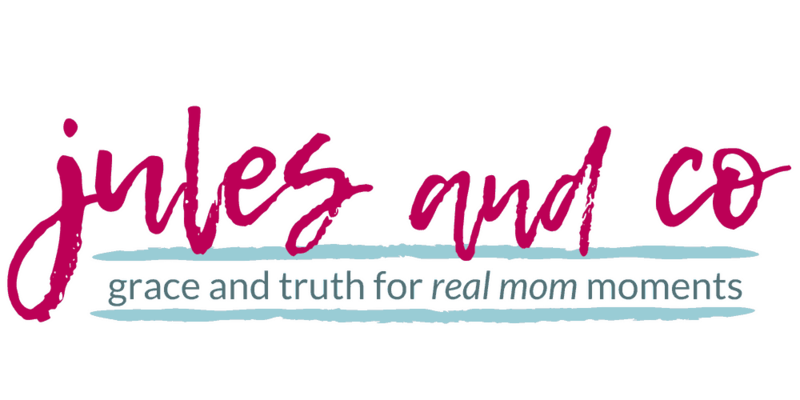 Get a whole month of early learning fun, planned for you, ready to go, and all wrapped up in a meaningful, faith-filled theme. 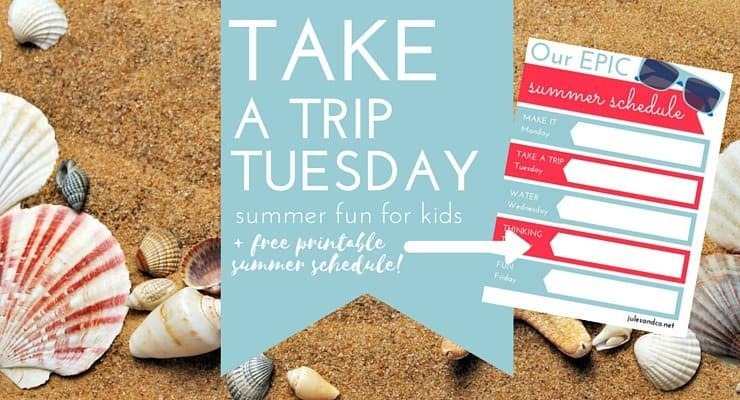 Learn more at the shop! 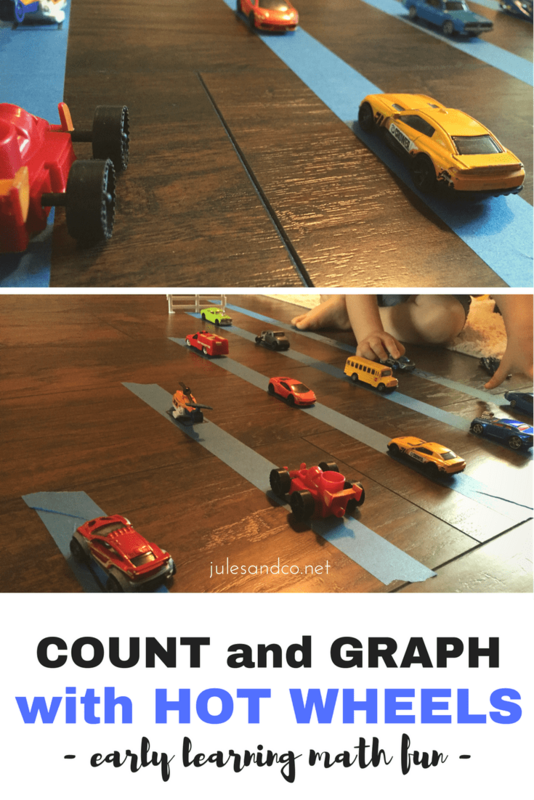 Here’s what you need to know to hook your own little car-lover into a fun early learning math activity too! 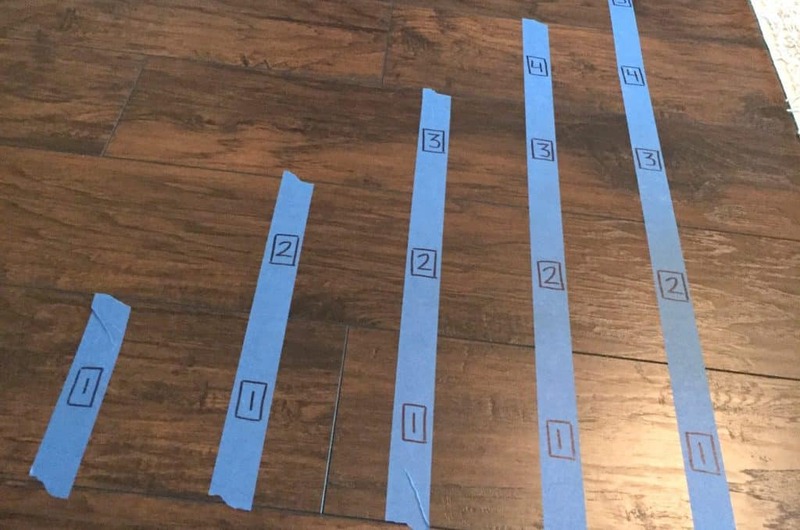 First, lay out five or more strips of painter’s tape on the floor. 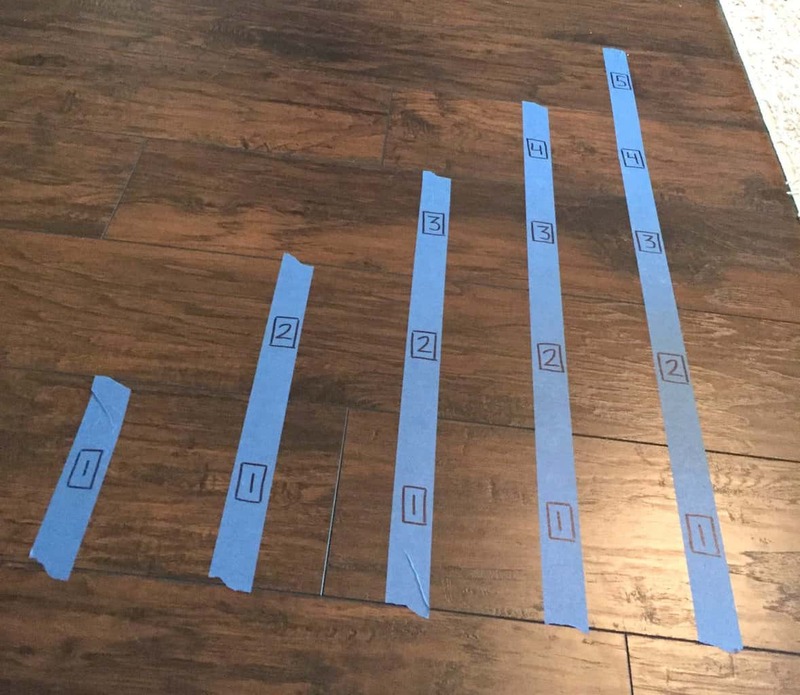 Write numerals in order on each strip, increasing one number step up for each new column. 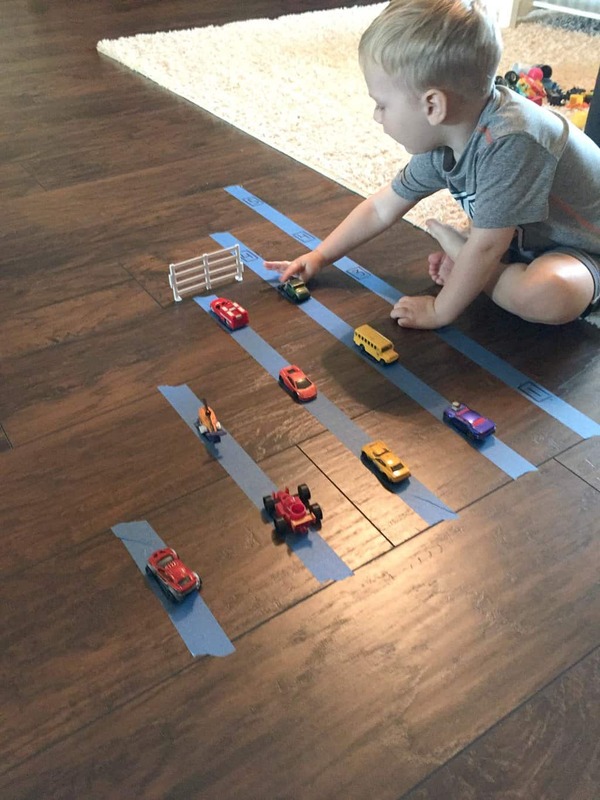 Add a little box around each numeral about the size of a toy car. It’s a mini parking space! 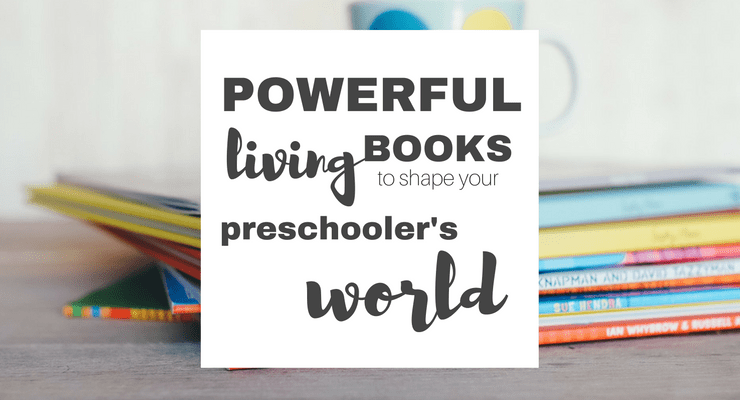 Looking for more early learning fun? 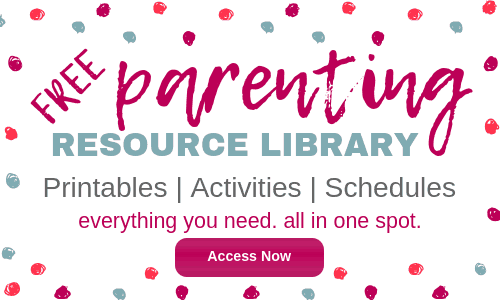 Try this easy pom-pom color sort, or try these fun color-learning games with Mega Bloks! I also worked in a bit of math vocabulary. This is where that bar graph layout becomes super helpful. We talked about the concept of value and less/more than. 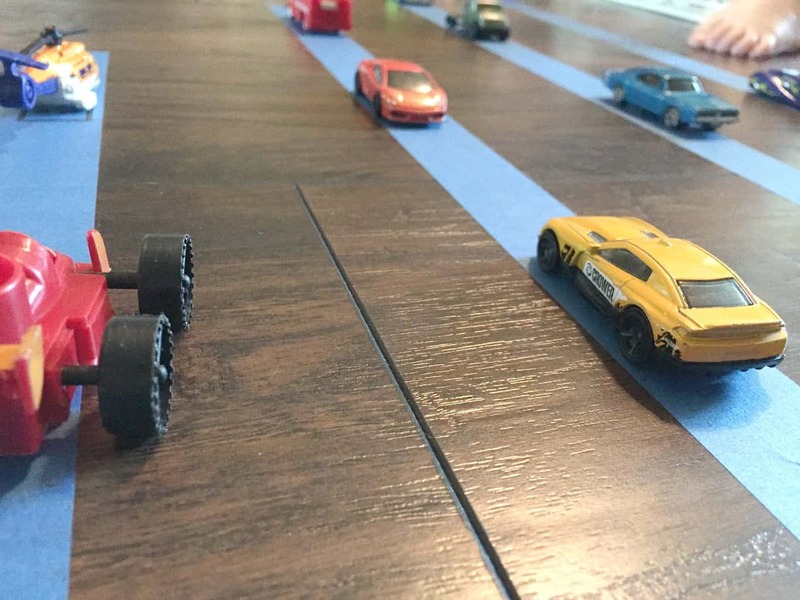 I asked my son, ” Which column has more cars? Which has less? Is 5 more than or less than 3?” This is a great jumping off point for an understanding of number value! I know this is an activity we are sure to try again soon! 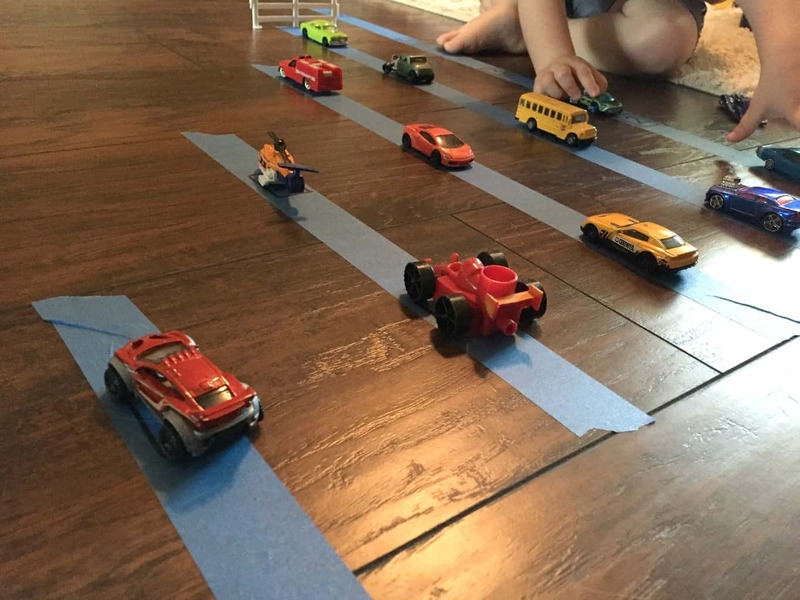 My little car-lover won’t be tiring of his Hot Wheels any time soon, right? 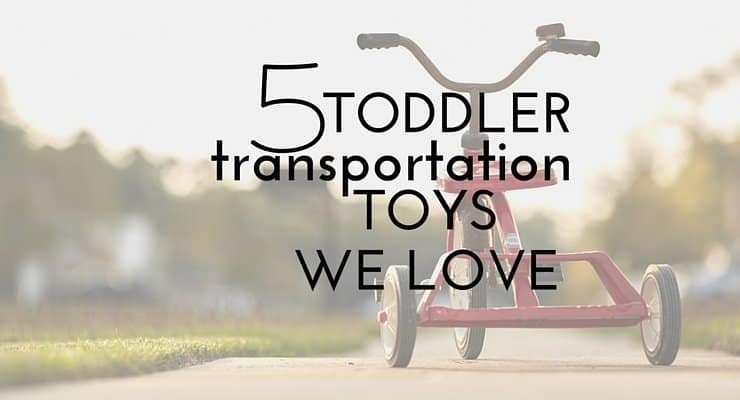 Does your toddler love trains, planes, and all things that zoom? 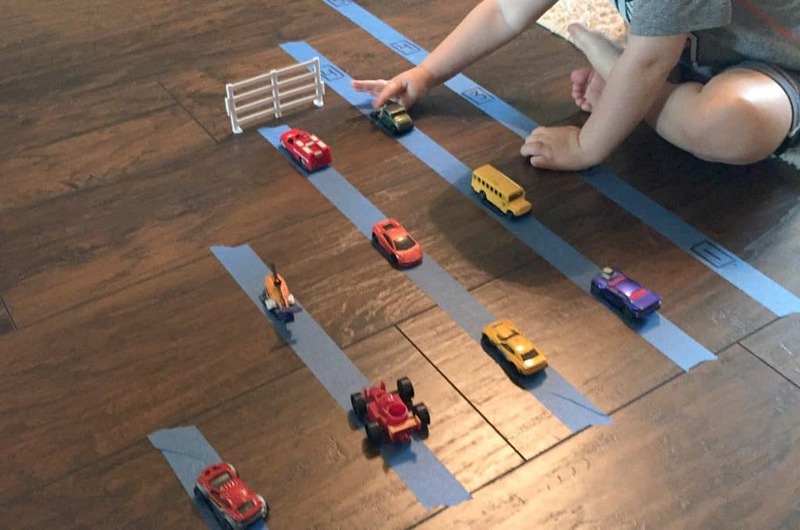 Try our go-to favorites for car and transportation-themed toys for toddlers!